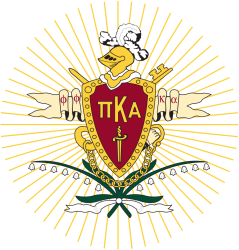 Vision Statement: Pi Kappa Alpha will set the standard of integrity, intellect, and achievement for our members, host institutions, and the communities in which we live. Founded March 1, 1868 at the University of Virginia by 6 men. The International organization is now 225 chapters and colonies strong, with 275,000 lifetime initiates. Originally local fraternity Kappa Phi Delta, Beta Nu was chartered as Pi Kappa Alpha at Oregon State University on May 12, 1920.